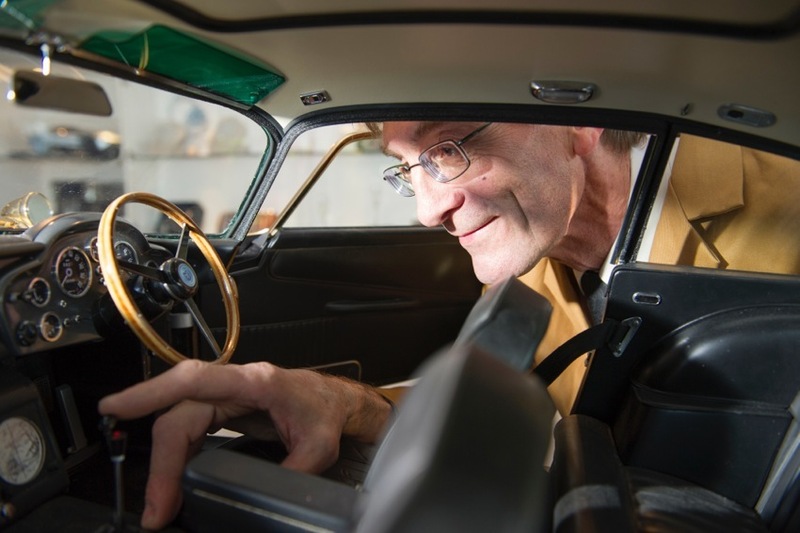 Bond film creators EON Productions have commissioned a one-off gold-plated third scale replica of James Bond’s iconic Aston Martin DB5 which global auctioneers Christie’s will offer in a special online auction to benefit the NSPCC. 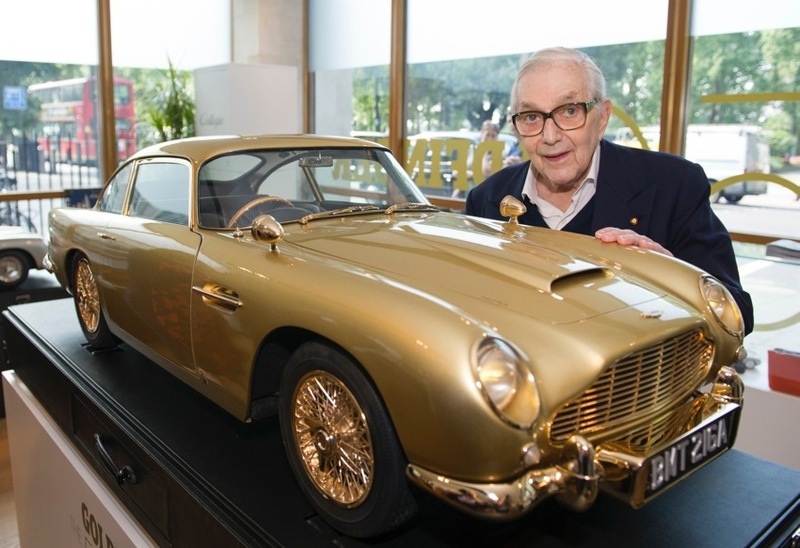 The replica DB5 has been signed by legendary Bond production designer Sir Ken Adam, who designed the Q branch modifications to the car for Sean Connery as agent 007 in 1964’s Goldfinger. 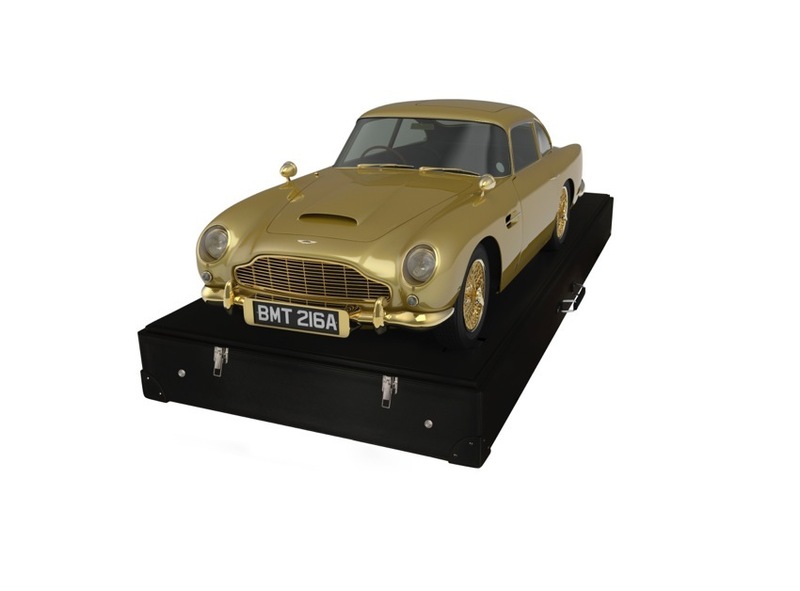 Prop-makers Propshop, who created the scale model DB5 sports cars required for special effect scenes in the most recent Bond film, Skyfall, using 3D scans of the full size DB5, have created, under licence, a one-off gold model with 24-carat gold plated detailing, complete with radio controlled machine guns, bullet-proof shield and revolving number plate. 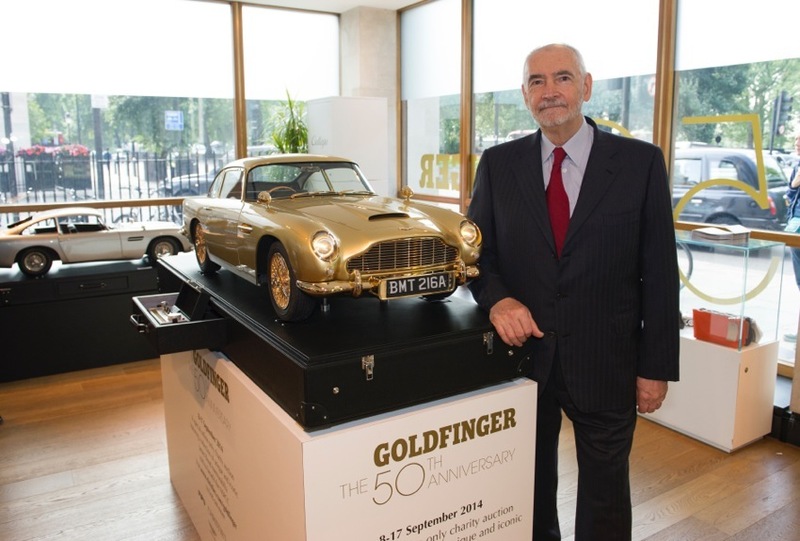 The unique Goldfinger model is expected to sell for between £40,000-60,000 ($66,000-100,000) and will be available for bidding online from 8 September atwww.christies.com/goldfinger with bidding closing on 17 September, the 50th anniversary of the world premiere of Goldfinger. Also included in the sale will be a unique Goldfinger Seamaster Aqua Terra wristwatch created by Omega to celebrate the anniversary of the film. Omega’s Seamaster wristwatches have featured in every Bond movie since 1995. The one-of-a-kind wristwatch is made in 18k yellow gold, the hands coated with Super-LumiNova so that they can be read in all conditions. A counterweight to the mechanism has been crafted in the form of the iconic 007 logo. It is estimated to fetch between £8,000-12,000 ($13,000-20,000) and the full specifications are available online. Other lots included in the charity sale are a first edition book Goldfinger by Ian Fleming (estimate: £1,000-2,000 / $1,600-3,300); an original British cinema poster for Goldfingerdesigned by Robert Brownjohn with the famous golden girl in the background (estimate: £2,000-3,000 / $3,300-5,000); and a special golden edition of Taschen’s The James Bond Archives, one of 40 artists proofs signed by Daniel Craig (estimate: £2,000-3,000 / $3,300-5,000). 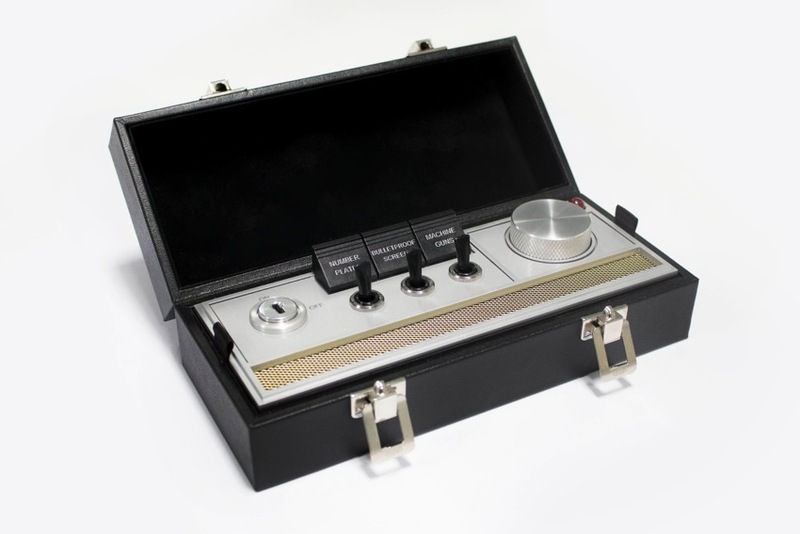 The auction coincides with the release of the Goldfinger Limited Edition gold SteelBook™ Blu-ray on 22 September from MGM and Twentieth Century Fox Home Entertainment. Nicolette Tomkinson, Head of Popular Culture at Christie’s, said: “The Aston Martin DB5 is clearly an iconic sports car. 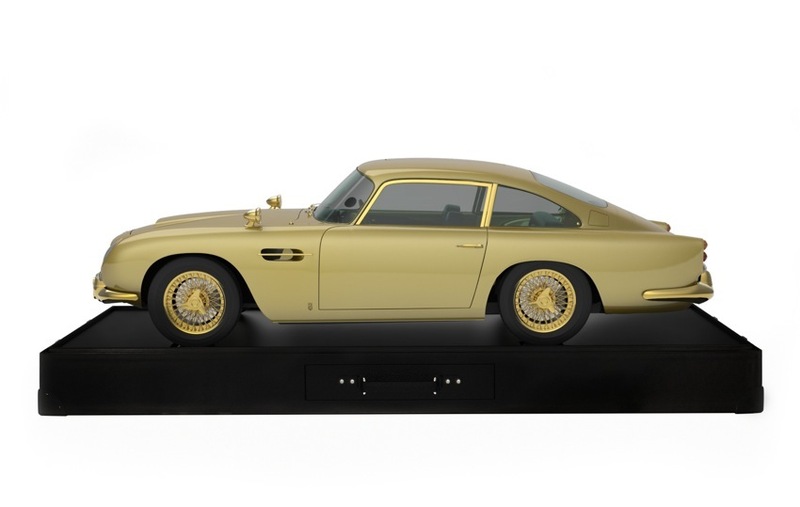 However this Goldfinger model version, with 24-carat gold detailing, is truly unique and as such we anticipate worldwide interest and competitive bidding. We are confident that this online-only sale will raise a significant sum for the NSPCC.” The Aston Martin DB5 gold for charity.